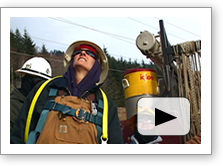 OTHER TRADESWOMEN ORGANIZATIONS - Oregon Tradeswomen, Inc.Oregon Tradeswomen, Inc.
// ]]> Links to other organizations working toward equity in the building and construction trades. Apprenticeship and Nontraditional Employment for Women (ANEW) ANEW improves peoples’ lives by providing quality training, employment navigation and supportive services leading to successful family-wage careers. Chicago Women in Trades Chicago Women in Trades works to increase the number of women in the skilled trades and other blue-collar occupations and to eliminate the barriers that prohibit women from entering and remaining in non-traditional careers. Hard Hatted Women Hard Hatted Women is a dedicated to promoting women’s economic empowerment by ensuring equal access and opportunity to all jobs, especially non-traditional. 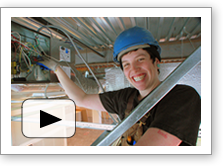 Nontraditional Employment for Women (NEW) NEW is a nonprofit organization dedicated to helping low-income women find economic self-sufficiency through work in the blue-collar trades. NEW is located in New York City. Pride and a Paycheck Pride and a Paycheck is a free publication reaching out to tradeswomen, friends, organizations, and supporters. Issues can be downloaded and printed for distribution. The articles and poetry are written by tradeswomen themselves. Sisters in the Building Trades A Washington-based group supporting women in the building trades through networking, outreach to the community (speakers’ bureau) and mentorship. Texas Women in Trades Texas Women in Trades (TWIT) is an organization geared towards recruiting young people, women, and minorities to the trades. Through strategic planning, TWIT connects with similar organizations to maximize resources and on a local, state and national platform. Tradeswomen, Inc. Tradeswomen, Inc. is a non-profit grassroots organization whose purpose is to promote and support women in non-traditional blue collar jobs. Founded in 1979, they are based in the San Francisco Bay Area. Utah Women in Trades Founded in 2010, UWIT mission is to retain and increase the number of women seeking and obtaining opportunities in non-traditional building and construction trades by supporting education through apprenticeship programs, outreach and retention programs, mentoring new tradeswomen celebrating success and providing encouragement and hope for future generations. To ensure that all women who enter construction trades are able to work in a safe working environment, free from harassment. Washington Women in Trades The Washington Women in Trades produces the annual Women in Trades Fair in Seattle. Women in Construction Company WICC is a woman-owned construction company that is a subsidiary of a non-profit women’s organization. They recruit and train low-income women who want to learn construction skills and earn living wages. Women Unlimited Women Unlimited improves the economic well-being of Maine women, minorities, and displaced workers by providing access to, and support in, trade, technical, and transportation careers.